LEXINGTON, Ky. (Feb. 21, 2014) -- A new report from the Kentucky Injury Prevention and Research Center (KIPRC) reveals the prevalence and charges associated with drug overdose in the Bluegrass state. The report, "Drug Overdose Deaths, Hospitalizations, and Emergency Department Visits in Kentucky, 2000‐2012", analyzes overdose morbidity and mortality among Kentucky residents and documents the enormous societal and financial toll on the Commonwealth's population. KIPRC, located in the UK College of Public Health, is a bona fide agent for the Kentucky Department for Public Health. The report includes points of encouragement and concern. The good news is that, overall, overdose deaths and emergency department visits leveled off from 2011 to 2012, and the contribution of prescription opioids and benzodiazepines to drug overdoses decreased. In 2012, there were 6,496 overdose emergency department (ED) visits and 1,031 overdose deaths, compared with 6,492 and 1,022 in 2011, respectively. Pharmaceutical opioids remained the primary cause of overdose deaths in the state. Benzodiazepines remained the primary drugs involved in Kentucky resident drug overdose ED visits and hospitalizations in 2012, but decreased 9 percent from a high of 939 visits in 2011 to 856 visits in 2012. Intent to self‐harm was the primary reason for hospitalizations due to overdose, similar to years 2000‐2011. Casey, Carroll, Nicholas, Powell, and Johnson Counties had the highest overdose ED visits in the time period of 2008 to 2012. While the contribution of prescription opioids and benzodiazepines to drug overdoses decreased from 2011 to 2012, there was a precipitous increase in heroin involvement in overdose deaths, inpatient hospitalizations, and ED visits over the same period. Heroin contributed to 129 Kentucky resident drug overdose deaths in 2012, a 207 percent increase from the 42 heroin-involved deaths recorded in 2011. There was also a 174 percent increase for inpatient hospitalizations and a 197 percent increase for ED visits related to heroin. Terry Bunn, PhD, director of KIPRC, says that the report highlights the fundamental importance of comprehensive approaches to drug abuse and mental health treatment in the state. 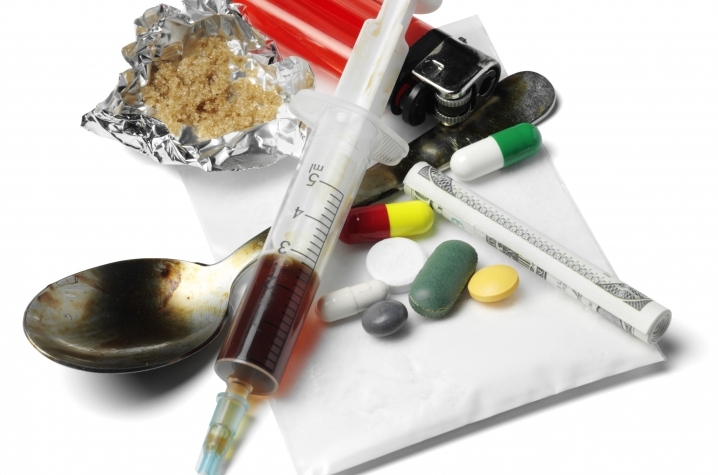 “A multipronged strategy to reduce drug overdoses in the Commonwealth of Kentucky involves the basic elements of the public health model that includes the comprehensive surveillance and tracking of drug overdoses, identification of risk factors that result in drug overdoses, development of interventions to prevent drug overdoses, and the widespread adoption of drug overdose prevention interventions," she said. Bunn says that the report reflects the growing need for improved education of physicians on drug abuse and treatment, better law enforcement and adjudication, and significantly increased funding and capacity for substance abuse and mental health treatment services across the state in order to decrease the extraordinary toll of drug abuse on individuals, families, and communities. "It’s great that we at KIPRC can provide info on three major datasets, but more are needed to obtain an even broader picture and clearer understanding of drug overdoses and abuse in Kentucky."